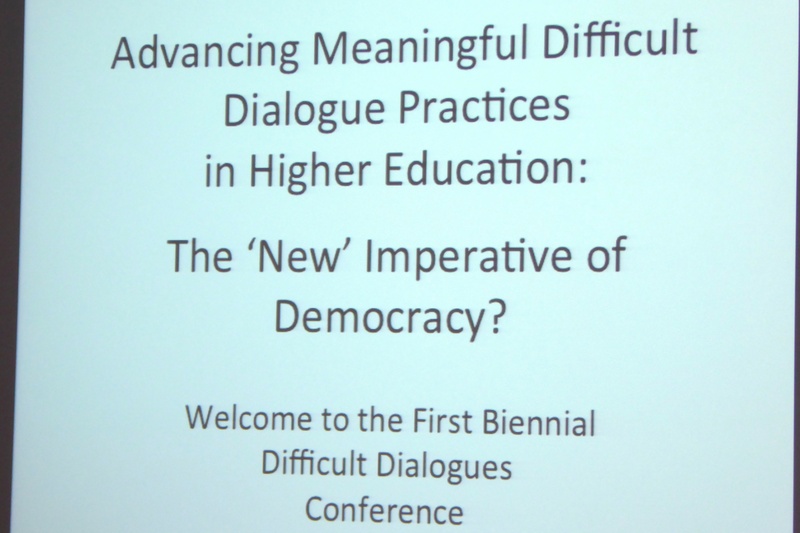 Last Friday, we had the opportunity to attend the inaugural biennial conference for the Difficult Dialogues National Resource Center (DDNRC) entitled “Advancing Meaningful Difficult Dialogues Practices in Higher Education: A New Imperative of Democracy?” The mission of the DDNRC is to advance innovative practices in higher education that promote respectful, transformative dialogue on controversial topics and complex social issues, thereby reflecting a commitment to pluralism, academic freedom, and strengthening a democratically engaged society. 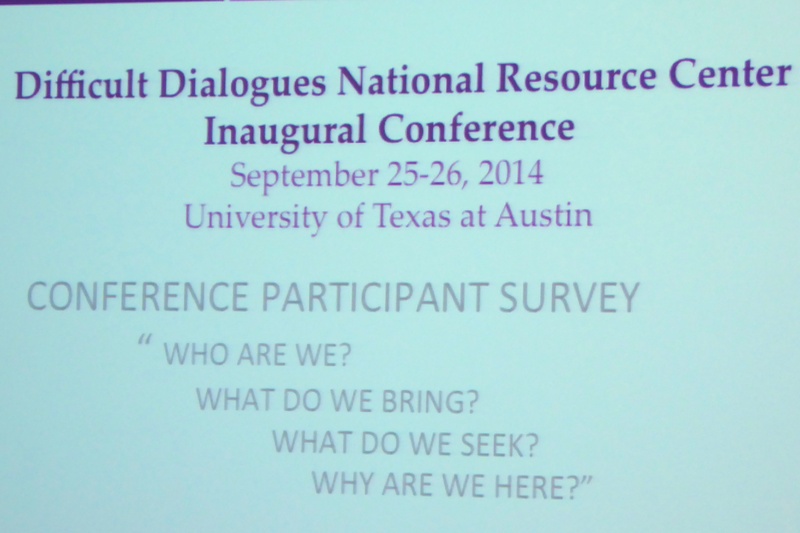 A central goal of this year’s conference was to propel academic communities to have productive engagements with difficult dialogues. 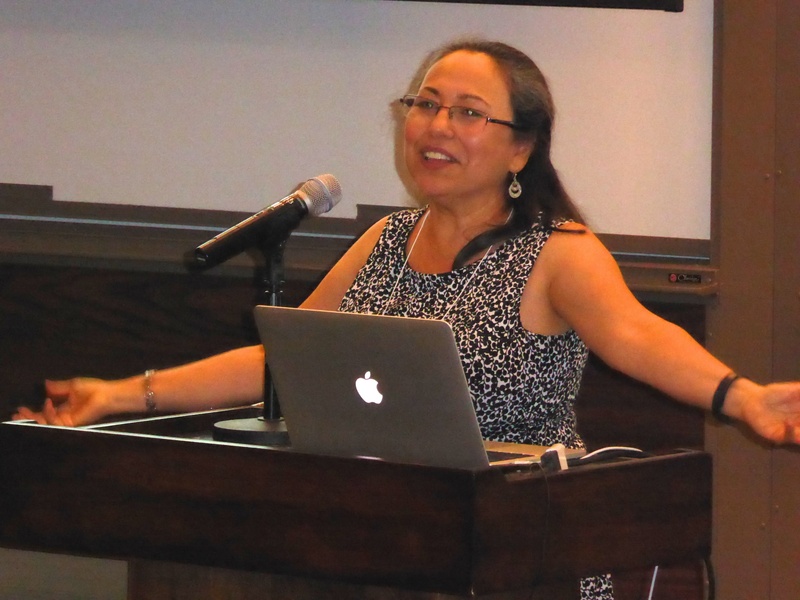 Dr. Silvia Hurtado, the opening keynote speaker, focused on the following central concern: if we are not the society that we aspire to be, how do we get there? She suggested that while “problems” are complex, we have the capacity to be change agents. 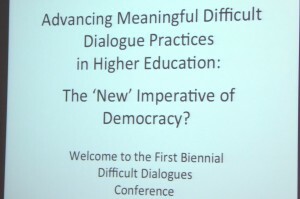 However, there are prevailing norms that we must face as educators and members of academic communities: 1) people’s mindsets that they come into college with, 2) traditional notions of teaching and learning, and 3) first-years in college ask fewer questions in the classroom than they did in high school. 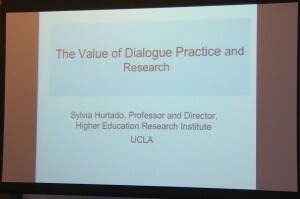 Hurtado emphasized that we need engaging forms of pedagogy in order to challenge these academic norms and to move students from their own embedded worldviews. 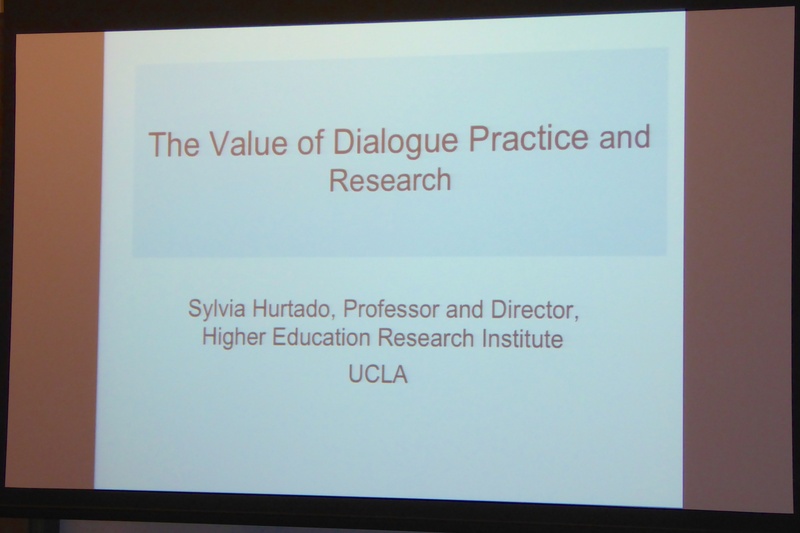 One interesting pedagogical approach mentioned by Dr. Silvia Hurtado is for educators to learn that they are not the only authority in the classroom. Students are teachers as well, and peers can be an authority on a topic for one another. However, as educators, we must be good facilitators, which does not mean being neutral. It does mean that we must develop skills of active listening and embrace conflict and different voices in order to make progress. It should be noted, however, that choosing which educators get to de-center themselves as the authority in the classroom is fraught with various forms of privilege. Certain marginalized bodies are often already questioned as having authority, so this pedagogical approach may be difficult or not conducive for certain people’s classrooms. Despite this, new forms of teaching and learning outside of traditional forms of lecturing are needed in order to truly engage in difficult dialogues and to transform the mindsets of students in order to make them better global citizens. Following the keynote, we broke out into smaller workshop groups in order to have conversations about what distinguishes a “difficult dialogue” program from a one that promotes and/or encourages “respect for difference(s).” Much of the conversation focused on the fact that difficult dialogues are not value-neutral and that it is imperative to push students and educators beyond a notion of “respect as tolerance”, instead aiming toward “real” action and social change. In thinking about what goals should be set for a difficult dialogue and how these goals could be identified or measured, some of the more interesting suggestions involved some directly observable goals (such as the ability to facilitate a dialogue in class or to identify strategies of facilitiation and demonstrate active listening). Others were more business-minded (such as measuring the numbers of department heads, faculty, and campus leadership groups that participate in difficult dialogue training) or philosophical (such as seeing a student develop a better understanding of structural oppression and inequality and/or an awareness of their positionality in the world). These workshops were a great opportunity to learn about the kinds of courses/programs going on at other schools and how they prioritized social justice within them. The workshop groups prepared us for the interactive theater session that led to an interesting discussion about which classrooms and which professors can actually engage in difficult dialogues. The interactive skit was about four undergraduate students who had witnessed a religious demonstration and saw people praying on campus. They entered a classroom discussing religion, protests, praying, the First Amendment, and other issues that undergraduates are likely to encounter and discuss. However, the classroom was an English course, so when it was time for class to start, the professor tried to shut down the lively debate. The skit ended with the professor telling students that it was his job to teach them about dangling modifiers, and that he did not feel like religious controversies should be discussed in his classroom. This performance raised several important questions: When should professors engage in difficult dialogues with their students? Should these issues only be discussed in certain classroom settings? For example, should religion only be discussed in a religion course, but not in an English course? 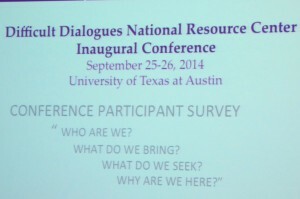 To learn more about the DDNRC, you can visit http://www.difficultdialoguesuaa.org/ or check out their Facebook at https://www.facebook.com/DifficultDialogues.org. Also see Indigenous Solutions to Intellectual Violence – Stop Talking and Listen. Shantel Gabrieal Buggs is a fourth-year doctoral student in the Department of Sociology, studying race, gender, sexuality, and popular culture. Her dissertation will explore the online-dating experiences of mixed-race women in Central Texas. Follow her on Twitter at @Future_Dr_Buggs. Brandon Andrew Robinson is a fourth-year doctoral student in the Department of Sociology. His research interests include sexualities, queer spatialities, and intersectionality. His dissertation will be exploring the lives of LGBTQ homeless youth. Intellectual violence in the academe is a hot topic and was the subject of an animated Sociology brownbag last year. There was consensus about the problem, but no real solutions emerged. 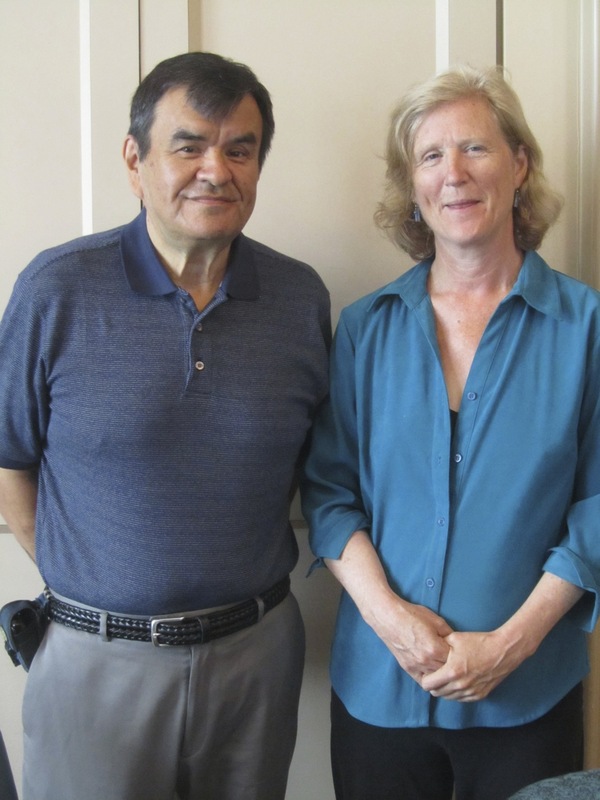 So, when I signed up for the Stop Talking – Indigenous Ways of Teaching and Learning workshop offered by the Humanities Institute, I was glad to discover valuable insights and techniques for creating civility in often heated academic discussions. Co-presenters Ilarion (Larry) Merculief, the director of the Global Center for Indigenous Leadership and professor and Director of the University of Alaska at Anchorage’s difficult dialogues program Libby Roderick have co-authored and published two books. The first provided the foundation for our meeting and the second, Start Talking: A Handbook for Engaging Difficult Dialogues in Higher Education is a companion piece for instructors teaching courses that deal with contentious issues. Ilarion, an Alaskan native, began by describing his life as a child growing up in a traditional aleut village. His family were hunters and fishers, members of a small Unungan community living on St. Paul Island in the Bering Sea. From an early age, the children were taught to open their minds and their senses to the earth and sea and to listen. 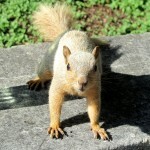 A typical greeting, translated as “The morning tastes good,” reflects their sense of well-being living in harmony with nature. Parents allowed children the freedom to roam and they were not chastised or punished for misdeeds, but taught communal values by elders and by their Aachaa, with whom they had a special spiritual bond. Time, attention and belonging were predicated on nature, on place, and on being one of the people who kept the balance of life by honoring and protecting the earth. People spent a lot less time talking and much more listening and communicating non-verbally. 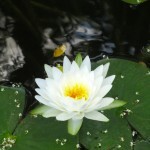 The foundation for respecting all living beings was given to Ilarion along with the challenge to communicate this balance of life, self and other to non-natives. Clearly, a very civil agenda and one sorely lacking in most academic discourse. The foundation of respect comes from the knowledge that the community is completely interdependent and rooted in love of the earth. One of the first things workshop participants were asked to do was go outside for a 10 minute exercise in listening and opening our senses to the environment. 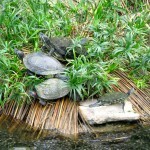 We went to the turtle pond by the main building to enjoy the beautiful day. This re-centering and re-energizing exercise was one suggested method for engaging the mind/body and including the heart in the conversations to follow. Giving participants a chance to reflect before answering questions and building in spaces for silence slows the pace and gives introverts more opportunities to be heard. Another useful technique employed in the workshop was to create listening pairs, setting aside five or six minutes at a time for each person to talk about what they were learning with the other actively listening. Research has shown that using wait time as a teaching strategy to facilitate think time produces better responses to questions. Even issues that are divisive and contentious can be discussed if we allow each person to have their own truth and we are willing to listen without formulating a response. There will be additional posts from this workshop,from the Stop Talking handbook and from the Start Talking engaging difficult dialogues handbook. The value of these lessons cannot be overestimated and I am grateful to Ilarion and to Libby for sharing their wisdom with their southern compadres.